Domino sets for regular past tense verbs to download for free. 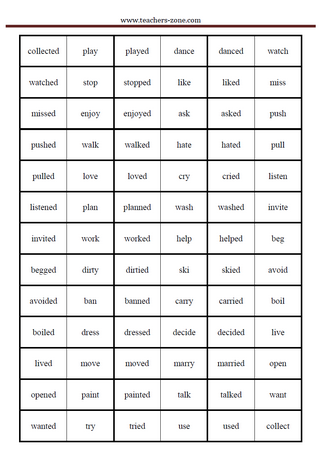 To download irregular verbs domino sets click here. I have just added the link to irregular verbs domino cards at the bottom of the post.